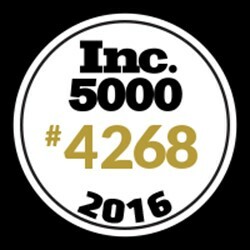 TeraThink is honored to announce its ranking of #4268 on the 2016 Inc. 5000 List! TeraThink is truly appreciative to be placed on this list for the past 8 years consecutively – a rare and distinguished accomplishment. Click here for more information.